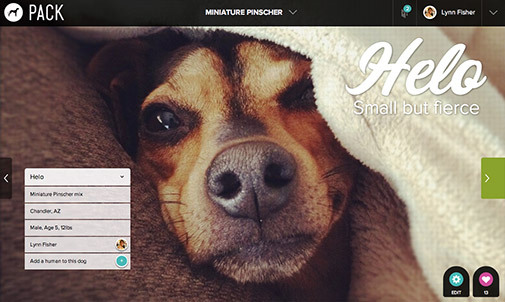 As someone obsessed with dogs, especially my own, I’m loving Pack, a network for dogs and the people who love them. 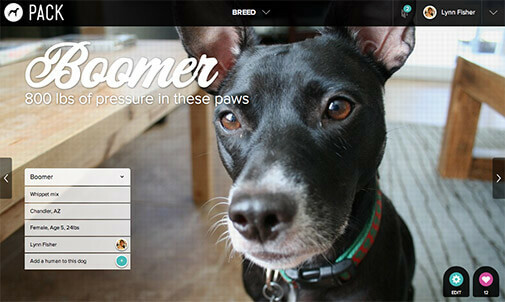 It’s invite-only for now, but go look through the many cute pups (including my Boomer and Helo) already on there. This entry was posted in pets and tagged dogs. Bookmark the permalink.